Never think that the size or the space in any room of your house might get in the way of the interior decoration. One main reason why people do not put much emphasis into decorating their kitchen like any other room is because of the lack of a larger space. Here are five great ways to decorate a small kitchen and make it a welcoming place as any other room in your house. Try to avoid using dark colours on your kitchen walls, especially if it is a small space. Dark colours can make the room feel even smaller. Choose furniture of lighter colours too. In case you are unable to move the furniture in the kitchen that already has a dark colour, you can try either repainting them or improving the lighting inside the kitchen. A good lighting system can get rid of the dull and cramped look inside the room too. A downside of having a small kitchen is that you run out of space to keep your items, especially as you add new items. One great way to save space inside the kitchen is to add extra shelves, especially in places such as above the kitchen counter. If you are planning to install new shelves in the kitchen, try contacting a place like Betterstorage Sydney, who are experts in creating storage systems. Adding more shelves can save up ground space of the kitchen too. Another way to give a lively look to a small space is to add colour. If the walls of our kitchen look old and washed out, then repaint the walls with light, but still vibrant colours. Chartreuse, teal, terracotta, pink, aqua are some colours you can try on your walls. Also, you can give a modern look to the place by adding printed patterns to your kitchen such as printed wallpapers. A patterned rug and some colourful trinkets can also give the place a vibrant vibe. Your walls can be used for more than decorations and shelves. Some interior designers suggest displaying your pots and pans by hanging them on the walls. This will definitely save the space taken by cabinets and cupboards in the kitchen. If you want to add a small potted plant or two in the kitchen but feel like there is no space, you can try hanging them too. But make sure these items are not in your way while you are working. While the above methods can help you to create more space in the kitchen, adding a personal touch to the place by including a decorating item or two of your choice can give it a warm and cosy look. 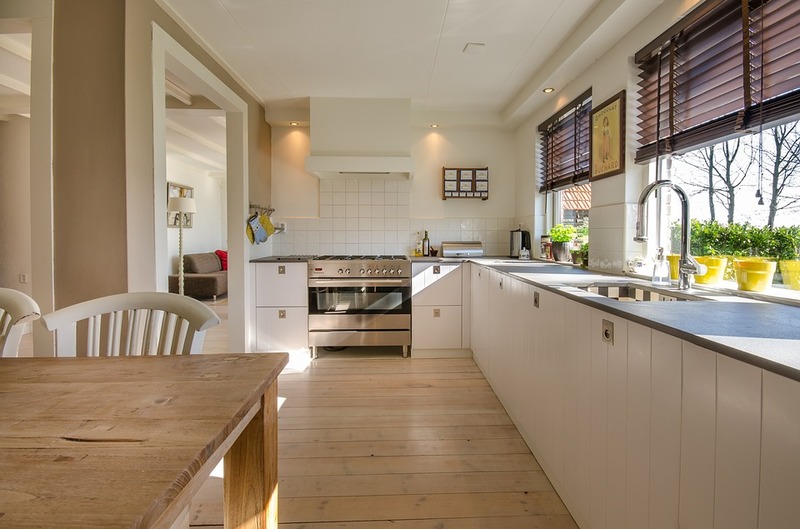 Some contemporary art or a vintage photograph, a potted plant or two, some ornamental trinkets on the shelves or a fancy clock on the wall are some ways you can decorate the kitchen. But try not to add too much decoration as this can once again make the space look smaller and cluttered. If you follow the right steps, even the smallest of the spaces can be transformed into something beautiful. Take the above ideas into consideration and make your kitchen a lovely place to work in.